Yesterday was exhausting. These kids have way too much going on and it is nearly impossible to get them to bed on time. I stocked up at the dollar bins at Target so this week bribery is my new best friend! I am so annoyed with the JCrew website! Everything I want still says "Null." Does that mean it isn't actually on sale or what?? I just found your blog and really like it! Nice purchases! I am so glad you left your name on my blog. Your blog is great. i thought of you when i was posting that pic! i got that bathing suit from tjmaxx for like $15 and it also has a little anchor on the bottoms...super hot. I love that bracelet! You so needed it. 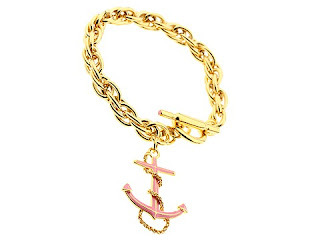 Love how the anchor is pink! Very cute! 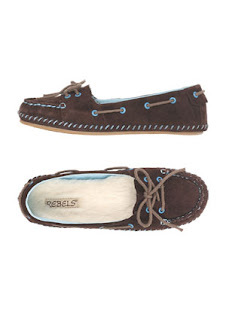 I don't think I'd take the shoes off-they look so comfy! Thanks for popping by my blog. I love the shoes. I bet you are glad to be back in America - it has so much better shopping than Australia. Every time I see an anchor, I think of you. I know I'm not the first person to tell you that, but I still think you should know! Oh, what a FAB find! I loove that bracelet- and it's LILLY! Cute bracelet! Love the gold and pink combo!